If you're looking to move into a wonderful town, Worcester is it. For those who like “large” but not “huge,” Worcester clearly fits the bill. It is full of dozens of attractions and fun things to do. It's also located about forty miles away from Boston for those hoping to visit. It boasts a national library, the Worcester Art Museum, the Higgins Armory Museum, and much, much more. You'll never be bored in Worcester! That's why it's so wonderful to raise a family there. 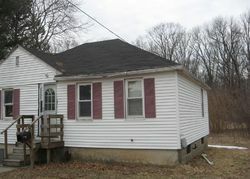 The average number of foreclosures in Worcester is about 9,999 a week; and it costs about $999 to live there per year. The average home is sold for $100 a square foot.